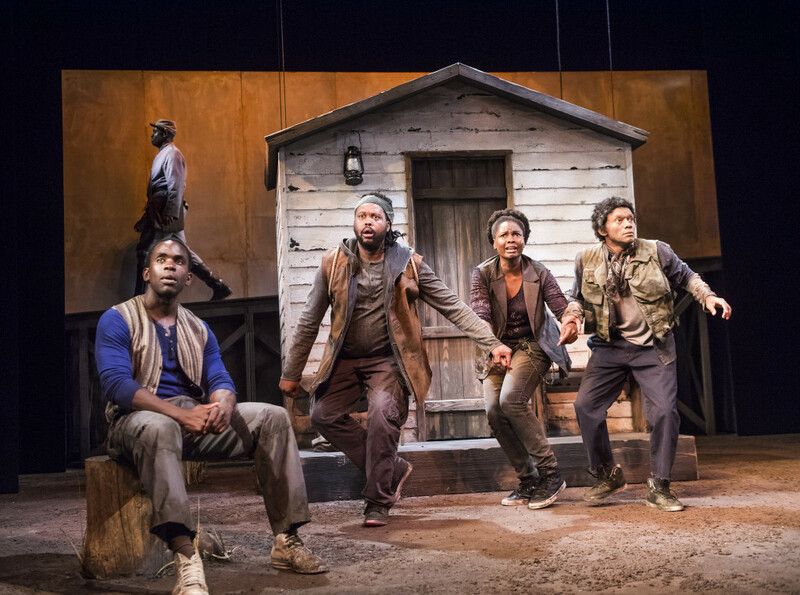 More than a decade ago, Suzan-Lori Parks’ Topdog/Underdog swaggered over from New York to the Royal Court. 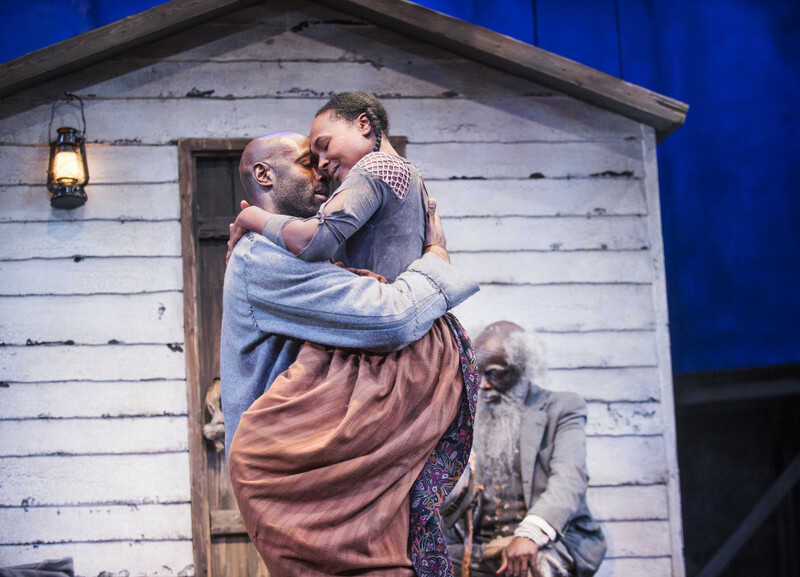 The first African-American female Pulitzer Prize winner, Father Comes Home from the Wars (parts 1, 2 & 3), now follows, wholly different in style, classical where Topdog was expressionistic but even more elegiac in its statement of the place of African-Americans in American society. Given the spate of recent police murders by white policemen on black Americans, the play could hardly be more topical. For Parks sets out, following the style of Homer’s Greek Odyssey to show the toxic roots of that relationship dating back to the American Civil War. Freedom is her over-arching theme within a rich, multi-faceted examination from Slavery’s overt master-slave, to the freedom to make one’s own decisions and with it the dangers freedom brings in terms of lack of personal value and not least, the freedom to leave a husband. This last is perhaps the most surprising in an evening that swings from old-fashioned homespun to sardonic and ultimately deeply affecting. A speech guaranteed to shock in its determinism, it’s interwoven with great wit by Park sandwiched as it is between the contrasting style of the first and third parts with the appropriately named Hero (Steve Toussaint)’s decision to join his master in battle because of a promise to free him and his subsequent homecoming with its further surprises and twists concerning Hero, his wife and his dog!. 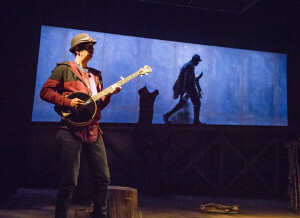 There are lovely performances from Hero’s Choric slave companions, Nadine Marshall as Hero’s loyal wife Penny, from Jimmy Akingbola as Hero’s companion/competitor in love and not least, guitarist/music director Steven Bargonetti whose twanging guitar and banjo serves as wonderful `mood’ music for director Jo Bonney’s simple shack but iconic rural settings. 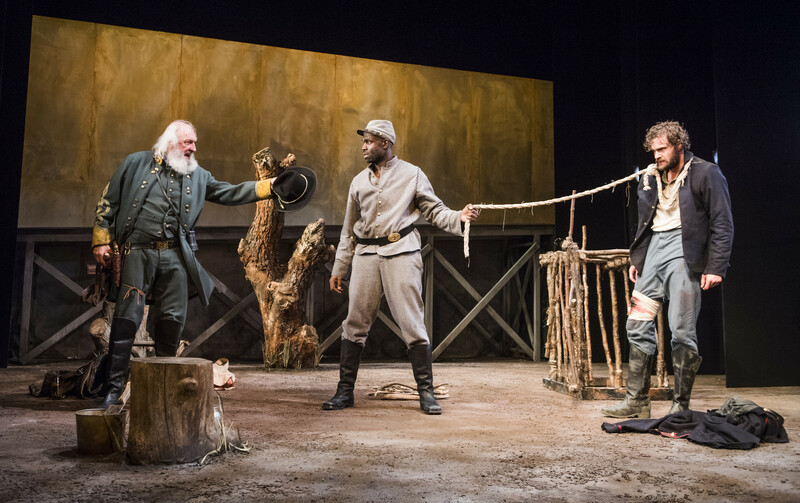 This entry was posted in 2016, Reviews and tagged American Civil War, freedom and the meaning of, Jimmy Akingbola, Jo Bonney, John Stahl, Nadine Marshall, race and feminism, Royal Court Theatre, Steve Touissant, Steven Bargonetti, Suzan-Lori Parks on September 26, 2016 by Carole Woddis.